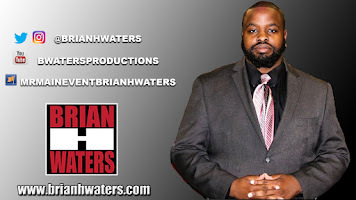 Brian H Waters: Are Naomi and Jimmy Uso the Most Successful Couple in WWE without the Last Name McMahon? Are Naomi and Jimmy Uso the Most Successful Couple in WWE without the Last Name McMahon? Behind every great man is an even better woman. 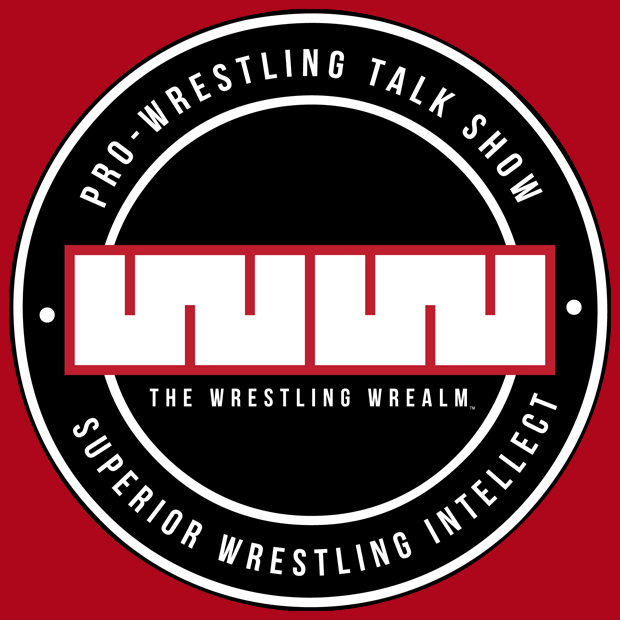 In the world of pro wrestling, we often see art imitate life. But sometimes, life is just raised to the 10th power. 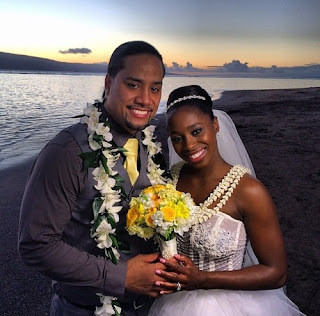 That is the case with Trinity and Jon, also known as Naomi and Jimmy Uso. The world has been talking about the recent break of John Cena and Nikki Bella. Cena was even asked about it in an interview and he admitted that he is not doing well. But let's not focus on the heartbreak of two real people, instead focus on the love we see displayed every Tuesday. Recently on Smackdown, The Usos have been getting their butts handed to them by the new Smackdown Live tag team champions, the Bludgeon Brothers. One week it was so bad that Naomi came out running pleading them to stop. If that wasn't enough, Harper posted a cryptic tweet. Enjoy your evening with him Trin. The following week, Naomi pleaded Jimmy not to wrestle Rowan. He ensured her that everything would be ok. But when the match happened, Rowan was destroying Jimmy and then Naomi's music hit and she came out dancing and distracted both Bludgeon Brothers, allowing Jimmy to pick up the win. If you watch Total Divas, you see that these two are best friends, as any husband and wife should be. Diamond Dallas Page has gone on record saying that Macho Man Randy Savage told him that he should not bring his wife into the locker room. Both men saw their marriages fail during their time in the business. The difference is that Naomi and Jimmy met while they were in NXT. From NXT, fans were privy to seeing their relationship grow all the way to their marriage ceremony on Total Divas. This past winter, we saw the two participate in the Mixed-Match challenge. The two were eliminated in the Quarterfinals, but their natural chemistry was displayed in both matches. Can you name another couple in WWE history that have both reached the pinnacle of their career paths that are still together and does not have the last name McMahon attached to them? 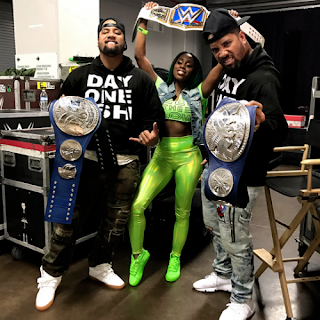 More than likely Jimmy Uso will never be a singles champion, but that's not a bad thing. After all, he and Jey have said that it has been their lifelong dream to become WWE Tag Team Champions. Remember when it seemed that it would never happen? Now they have won multiple tag titles and have reinvited themselves. How about Naomi? Remember when she was a dancer with Cameron for Brodus Clay? And then there was Team Bad. A time when she could not really gel as a heel. Fast forward and she is a two-time Women's Champion. She's also the first black wrestler to win a singles title at WrestleMania. So as we look back in history and look at active couples, the answer is yes, Naomi and Jon are the most successful couple in WWE history... without the last name McMahon. (And do you really count Stephanie and Triple H? Stephanie wasn't a real champion) So that may seem like an asinine statement but think about it. CM Punk and Beth Phoenix are not together anymore. CM Punk and AJ Lee were not on top at the same time. Same with Daniel Bryan and Brie Bella. Therefore, the title goes to Jimmy and Naomi.